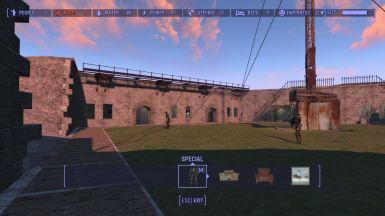 For some reason, the armory door does not open a second time. I just created a new profile in MO & updated all installed mods, trying to make sure they were in correct mod & plugin order, so I don't know if there is a conflict. I tried moving your plugin to the bottom, but no go. I saw an NPC come out of there, as my character & Shaw came up to the door & thought "that was weird," ha ha. I can either replace the door or try disabling the plugin until after the Shaw portion. It's not a big deal. Thought I would bring it up & see. Have a memorable & enjoyable weekend! In response to post #60034476. DK57 wrote: Thanks for the mod - makes the Castle much easier to work with. I do have 1 question - I installed an earlier version and it had both a .BA2 file and a .esp file. I see the current version only has the .esp file. I do manual installs, so I'm wondering if I should delete the .BA2 file. yes, CK was packing in some files that didn't actually go with this mod so they are actually from the script extender mod. Feel free to delete! 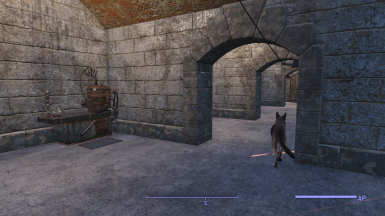 Thanks for the mod - makes the Castle much easier to work with. I do have 1 question - I installed an earlier version and it had both a .BA2 file and a .esp file. I see the current version only has the .esp file. I do manual installs, so I'm wondering if I should delete the .BA2 file. This is just a heads up....When I came up the stairs out of the tunnel into the armory, I was seeing daylight and mismatched pieces of wall. Passed right through it all, and when I turned around to look there was a giant rubble pile in the stairway that doesn't usually exist. Could not go back down the stairs to screen shot it and didn't feel like loosing my progress (save was too far back to do a do over). I suppose I could have tried going around and coming through the tunnel again but I was being lazy, LOL. Dunno if anybody else had this issue. 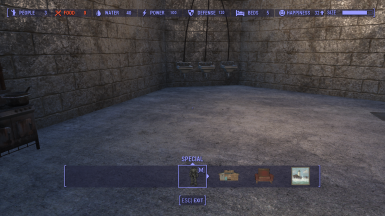 The only mod I use that had anything to do with the castle is the craftable castle walls redux. Not calling it a bug, something was just a bit off. You might want to see if you can duplicate it. Other than that beautiful work. Such a time saver. Edit: You sir, are correct. When I edited the landscape outside it pushed some through the wall which I corrected. The reason that you could see outside is because you were technically under ground and ground is see through from the bottom. Game physics you know....so thank you for bringing this to my attention. It is fixed and a new version is uploaded. :) Not a sir...That's my Nate. I'm actually an old lady. LOL, No worries. Glad to have been of some help. anyone else a problem with the power lines not working? I noticed that on my play through. I am not sure what the problem is since I didn't actually touch them. It worked when I first released it, the only thing that I changed was to make the castle pieces stackable in workshop mode. 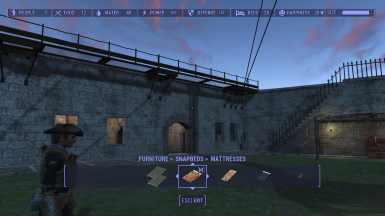 What that means is that pieces of houses, building etc are able to place things on in workshop mode. If you edit the cell for any reason, it makes items not placeable on the surface. I added that keyword to the castle pieces when I realized that items were sinking through. So long story short, the conduits work, but you may have to rewire some connections. When I get finished with the series, I will research this more and try to fix it. Sorry for the inconvenience. Does this work if I already took the castle? Thanks so much for this. I always dread The Castle because it has to be hand scrapped and I have to maneuver objects around all the rubble. 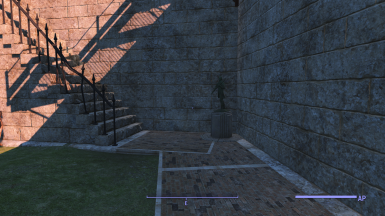 And anytime I've used a mod that touches this cell, I can't place items on the ground. Yet you fixed that too. I don't think I'd play without this anymore. I did run into one oddity. The mirelurks weren't all spawning and then Preston didn't have his usual dialogue about destroying the eggs. I went ahead and started the eggs anyway, the queen spawned and the quest finished as usual. But I was hearing clicking sounds of mirelurks. I toggled collision to look underground but didn't see anything. I have a push out of the way mod and was seeing an option to push a mirelurk, so I did a killall command and a few dead mirelurks suddenly showed up. 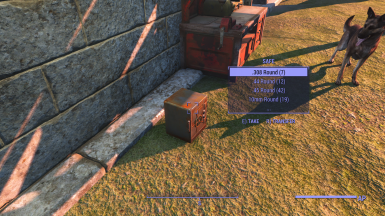 (Fortunately at this stage of the quest, the Minutemen aren't affected by the command) The Taking Independence quest then started a second time and told me to power up the radio. Since it was already done, I unpowered it and reconnected. Quest completed and all seems fine now. I've been back and forth to The Castle several times and doesn't seem like it hurt anything having that quest showing completed twice. 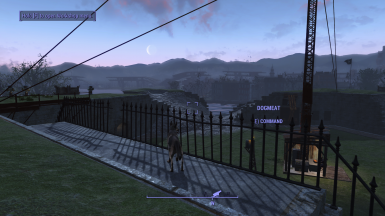 And I will mention I have a mod that makes animals non-aggressive. So very possibly even though they were hidden, they might have made themselves known without that mod. Just thought I'd mention in case someone else runs into it. But regardless. I will still always be using this. Thank you again. That is strange to be sure. I will try to replicate this. It may take a little bit since I don’t have any characters that are before this stage that aren’t heavily modded. I’ll start a new character with just my mods installed and see what happens. Not that I would know what was causing it(lol) but I’d at least know if it’s caused by my mod or not. Do you have any dialog, or minute men mods installed? And thank you, I’m glad you like it! 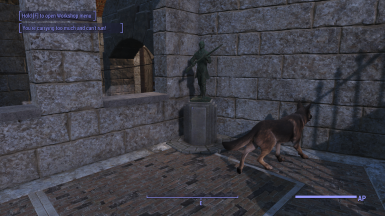 As far as Minutemen I just use One Minutemen Radiant Quest at a Time. For dialogue, I've been trying out Flirty Commonwealth on this character. Just to test I may go back to those saves and uncheck Henrys All Animals Befriend, and see if they pop up at me. I hate mobs that pop up out of the ground so that mod is always in my load order lol. They still pop up but at least they're friendly. 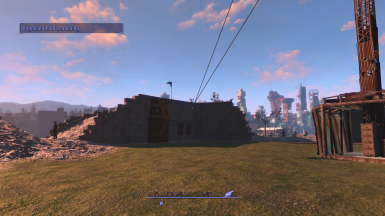 Ok I ran through with no mods (except mine) and everything played out normally except that the power lines didn’t work right. Storing and reattaching the wires fixed it, though. Awesome mod - will save a ton of time. Regarding the rubble that are pieces of the wall - what about the idea of just removing the old wall, and putting in new ones that dont have the rubble? (yes, I realize that it would be a new object).Those rubble piles are huge! Regardless of the feasibility of that, the mod is awesome. I'd love to! problem is....they don't exist. lol I am looking into making them though. It is a bit above my experience level right now but I am working on developing that skill set. Thank you! 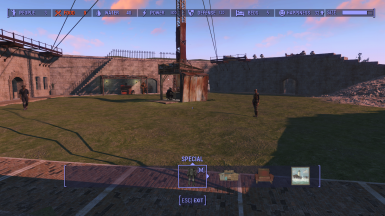 hi can i add your mod after i have set up buildings in there as i have rebuilt the wall with no mods.